Our Document Management System and Workflow is a platform for creating, capturing, managing, delivering and archiving documents and contents. 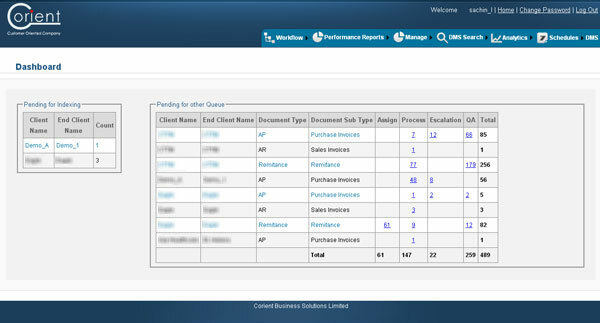 It integrates seamlessly with other enterprise applications such as SAGE, Xero, Quick Books, Free Agent. It handles Scanned Document Images, Electronic Documents, Emails and Electronic Data Output from other applications with equal efficiency and ease. It seamlessly collaborates, communicates and shares knowledge across and beyond the Enterprise with capabilities to efficiently handle enterprise-wide content and ease of integration with legacy systems. Amoeba Docs supports several scanner types to allow organisations to “Go paperless”. Basic and advanced 3rd party scanning software is supported for both simple and complex document scanning operation. Amoeba Docs manages both short and long term working and archived documents. Advanced Record retention and disposition policies for both electronic and paper based records are standard. Document, data and usage history is fully captured to stay in compliance. Find what you need using Full-text and Metadata Based search. Amoeba Docs allows users to save simple or advanced search queries as Saved Searches. their processes and customer relationship.